On an Egyptian street on a hot sunny day, picture a donkey being beaten by its owner and urged to move faster, eventually collapsing. It was a scene like this that inspired Jill Barton, an Australian pathology nurse, to volunteer with an equine charity in Egypt along with her husband. But when she moved back to her native Australia, the animals' conditions kept haunting her. She suggested to her husband that they delay their retirement plans and move to Egypt to work towards animal care. 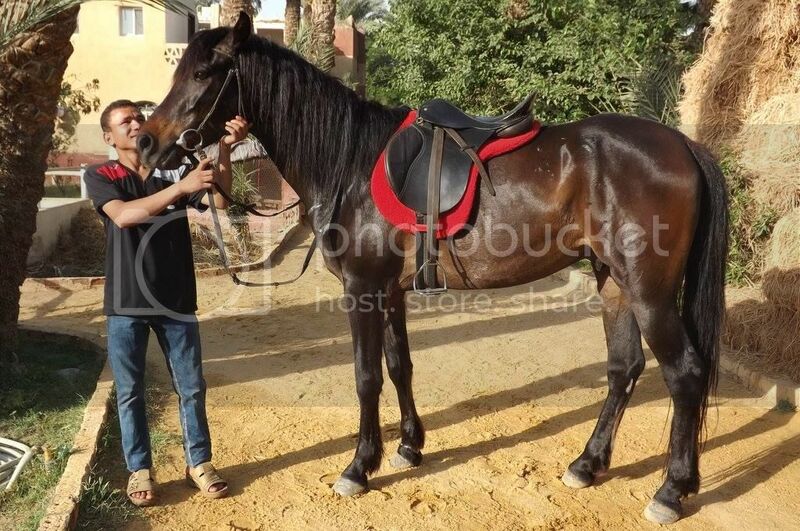 They sold their home, and two years ago moved to Egypt for good, opening Egypt Equine Aid, an inpatient and outpatient hospital for working animals like horses, donkeys and mules. Located in Abu Seir, they perform first aid and offer basic treatments and field surgery, with both treatment and medicine offered free of charge to the underprivileged. "When I saw the state of the animals here, I just wanted to be able to help," Barton told BECAUSE. "We decided to start our own hospital. It's not fully equipped yet, as we don't have a surgery theater or all the machines that we need, but we are planning to do so." Egypt Equine Aid is privatel funded by the Bartons, donations and a fund they received from the Australian Embassy in Egypt. They have one full-time and one part-time vet, as well as volunteer vets from both Egypt and abroad. 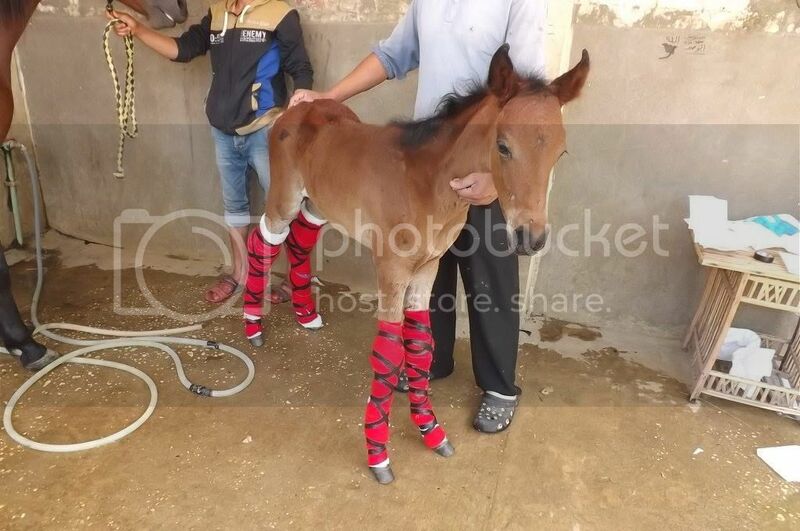 They exist to counter numerous difficulties for working animal conditions in Egypt. Neglect and ignorance from some owners is an issue, and in some cases vets don't have proper training. "We now have very good vets, but then again, they come and go," says Barton. Before and after: Oskar was found starving in the desert in Dahab. 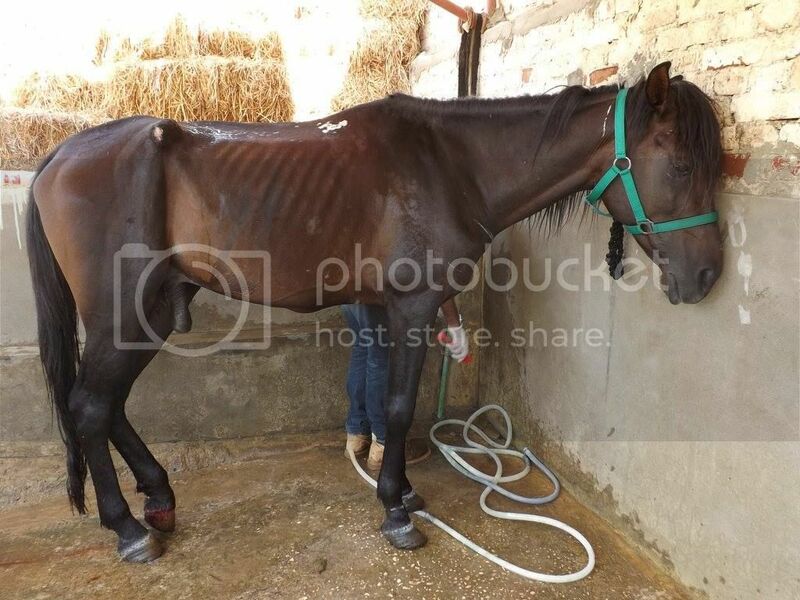 A sponsor brought him to be treated at Equine Aid, and now he looks forward to taking up residence at a personal stable, and a much better life. Being located near the pyramids, many of the animals they treat work in the tourist industry, giving rides. Amongst the most common injuries is deep cuts in the nasal area resulting from overly tight harnesses. Barton describes the animals' other conditions when they are brought to her. "A lot of them have serious infected wounds because their owners didn't bring them in earlier," she said. "Some are very skinny because they are not properly fed, and some just have psychological problems from cruel treatment and beating." As such, the service is highly appreciated. "[Animal owners] are very grateful they can bring their animals to us and take them back [to work]," says Barton. But current care practices, according to Barton, are unsatisfactory for animal welfare. "[The owners] seem to be apathetic towards their animals [...]. They beat them, leave their wounds uncured, poorly feed them and use [harmful] traditional methods of treatment." For example, one common way to treat a wound is to attempt to cauterize it with super heated metal, "… which just makes the wound even worse and causes a lot of pain to the animal." 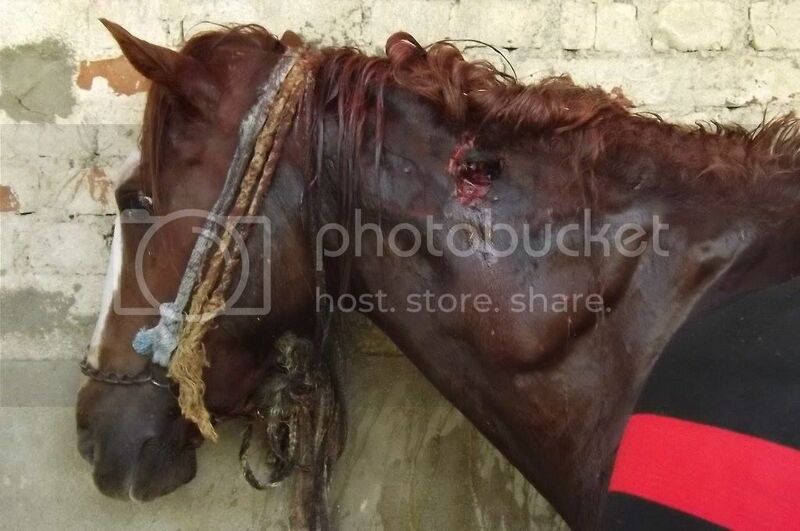 Before and after: Hero was brought in with such a severe and extensive neck wound that Egypt Equine Aid did not think he would survive. He required weeks of care and could barely lift his head. He has now regained full use of his neck. 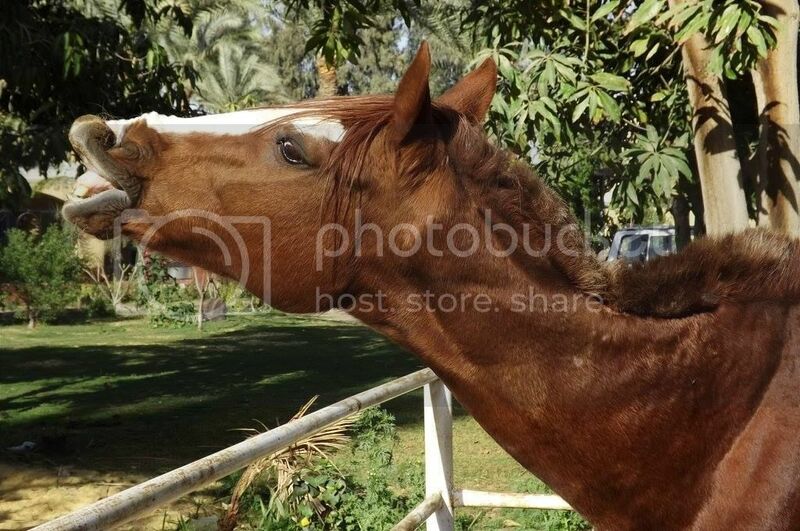 Working to give easy and inexpensive treatment plans to Egypt's highly pressured rural and tourism workers is one of the biggest challenges faced by Egypt Equine Aid, as well as encouraging them to bring the animals for regular checkups. Earlier intervention and better after-care would make a world of difference. "Even though the owners see the difference in how their animal has gained weight and is properly healed, they still [often] go back to their old ways and neglect to follow up," says Barton. Part of the answer is the influence that local vets can have on animal care culture. "A lot of vets are not properly trained so they might cause injuries to the animals, so we have to train them," says Barton. "We do our best, inviting foreign and local experts to come, engage and educate our vets, so that they can educate the owners." Egypt Equine Aid is not alone in this work, and collaborate with other key players in the field for the greater good of animals. They take inpatients and provide some vet services for the Rural Wellness Initiative, and work closely with the Brooke Hospital. Before and after: Little foal Feisty fell into a drain when she was almost newborn, while her skin was still extremely tender, resulting in terrible injuries that she would worsen by self mutilating. Egypt Equine Aid took Feisty and her mother in. On the right you see her all bandaged up and able to walk without pain. Feisty is still in EEA's care and has not yet made a full recovery. And occasionally, it's not just equines who end up in the Bartons' care. Jill's experience with exotic animals from a period as a volunteer on nature reserves means that they also once took in a lion. "She was rescued from the black market and brought to us, we treated her and sent her to a sanctuary." The hospital also once had a monkey, and raised and released some fox cubs. Most of the animals arrive depressed, but that can change. "Their personality starts coming out when they spend some time here, but once they leave again there is nothing I can do," remarks Barton. "They can become very defensive even when we are trying to help them, so we are not just providing medical care, but love and affection." Dealing with power cuts, water shortages and low funding add to the challenge. In future, the Bartons would love to expand the property to include a proper fully equipped hospital with a surgery theater and to add an accommodation facility for foreign visiting vets to stay in so that they can "... exchange their knowledge with our vets [...] We would also like to expand in other areas like Alexandria who have limited or no services like this." If animals could talk, the last word should go to Bondok, a horse from the Delta district who got overexcited when he saw another female horse, leading him to flip over his cart. His severe injuries nearly killed him. "But we took him in treated him—in two months he had made a full recovery, and became perfect again."